Inhaled-drug specialist Vectura Group posted a 29 percent rise in full-year revenue, helped by milestone payments from its partner Novartis, and said it had three new products in development. The British group is developing a generic steroid treatment for asthma and two speciality products: an inhaled anti-fungal treatment for lung-disease sufferers and a product to tackle the rejection of implanted lungs after transplant. “We are confident we can go into the clinic with the (steroid treatment) and start to move it forward,” Chief Executive Chris Blackwell said in an interview. Vectura, which spends most of its revenues on research and development, ended the year to end-March with cash of £64.1m after upping its R&D spend by 13 percent. It said R&D costs would grow another 10 percent this year as key products, such as VR315, widely said to be a generic version of GlaxoSmithKline’s lung drug Advair, approached commercialisation. Blackwell said the European market for the drug, which is in development with Sandoz, the generic division of Novartis, could be in excess of $200-250m a year, with Vectura receiving a royalty. In March, however, Sandoz handed back rights to VR315 in the US, where it faces a less clear route to approval. Blackwell said Vectura had started talking to the FDA itself. “We are confident we can take it forward, along with a partner for either co-development or co-marketing or both,” he said. 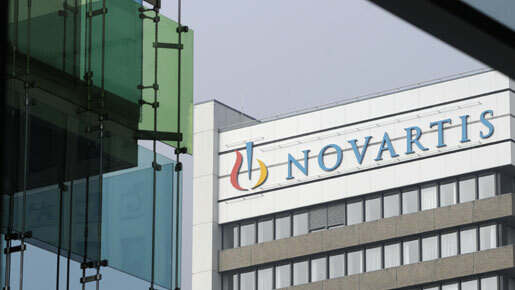 The group is also bullish on the prospects for its drugs NVA237 and QVA149 for the treatment of chronic obstructive pulmonary disease, which have been licensed to Novartis and are in development for final-stage clinical trials. Vectura said its losses narrowed to £10.2m ($14.7m) on sales of £40.1m. Analysts had forecast revenue of £38.6-39.7m.